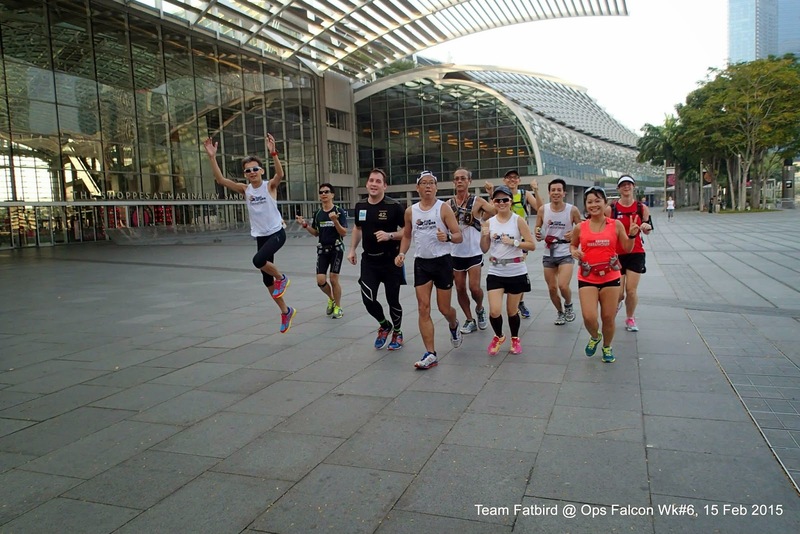 Operation Falcon kicked off its next phase of training with Marathon Pace endurance run at a new location to boot, the Singapore Sports Hub. 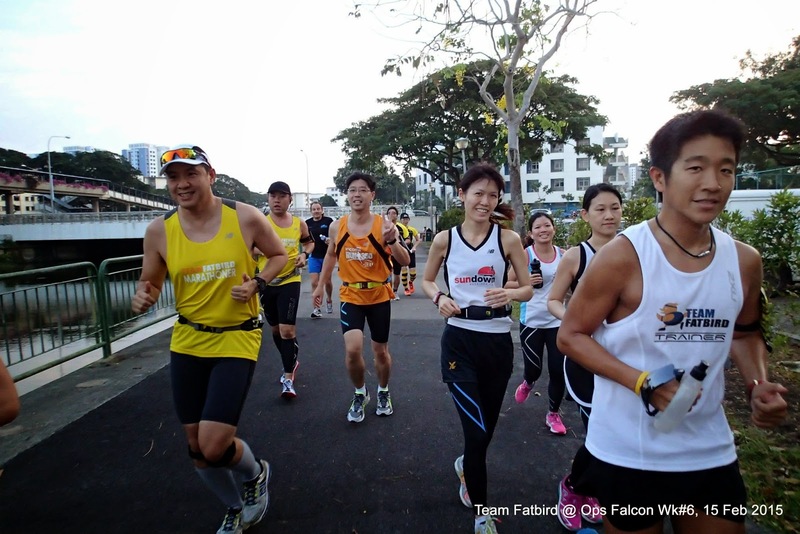 The training route was familiar with some Falcons as they have been used quite often in major local races. 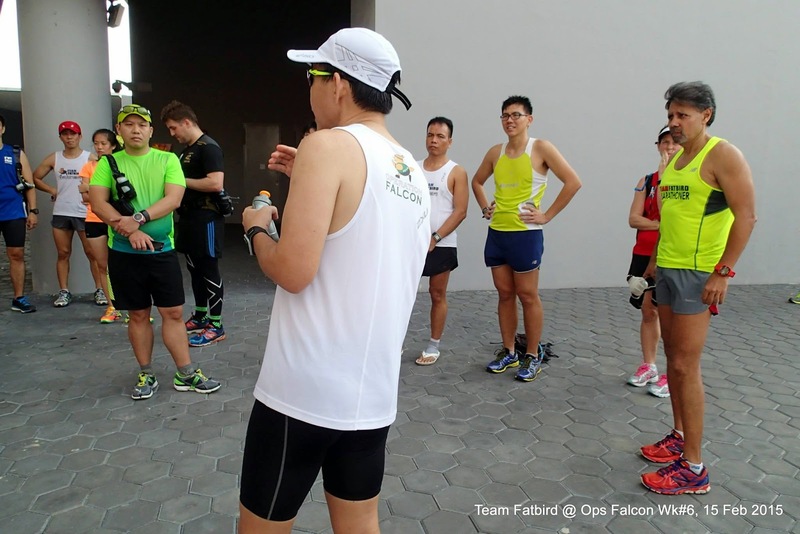 This was the first time for any FatBird operations to use Sports Hub as a start/end point, and from the way things turned out, we should be using this new location for more of our marathon training runs. 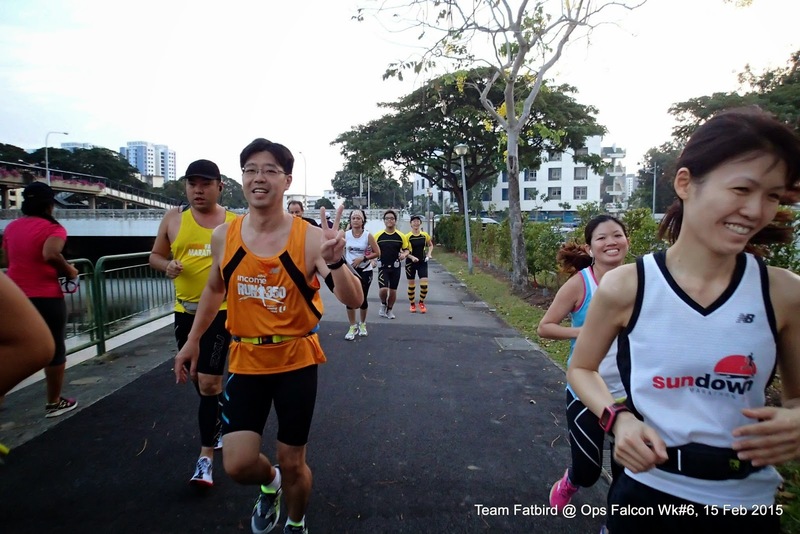 Both the HMers and FMers covered the same first lap of 16km covering stretches of the Geylang PCN, Gardens By The Bay East, Marina Bay Sands and rounding back along the Promontory. 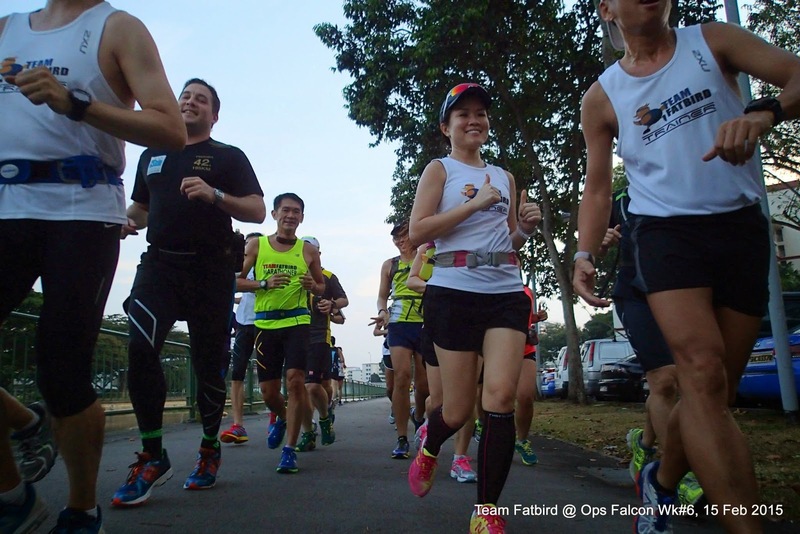 The FMers covered another 14km with a smaller loop within the larger first lap. 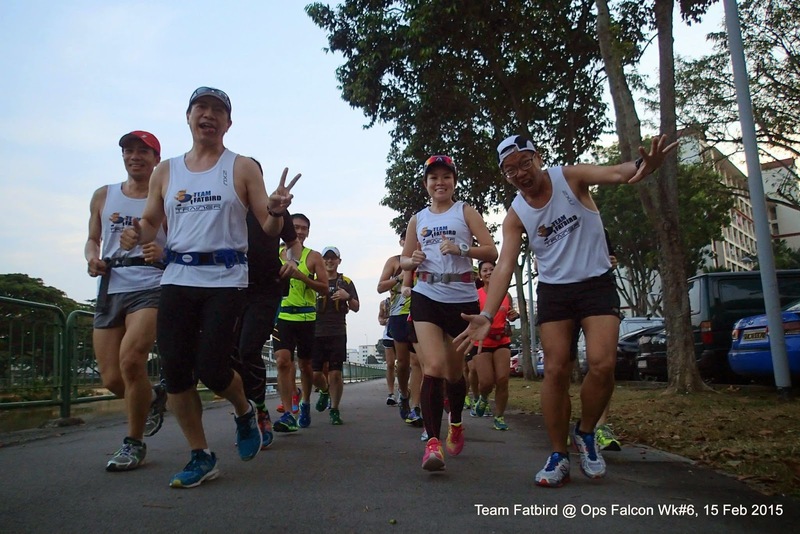 Running conditions were conducive with the windy and cooling first half of the training as the respective pace groups maintained well their Marathon Paces. 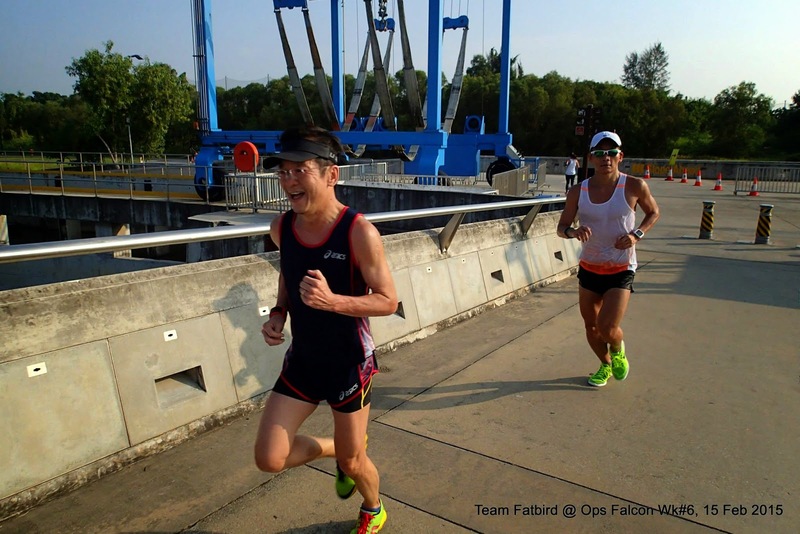 There were regular applause and shouts of encouragement which served to lift the spirits of the trainees each time. 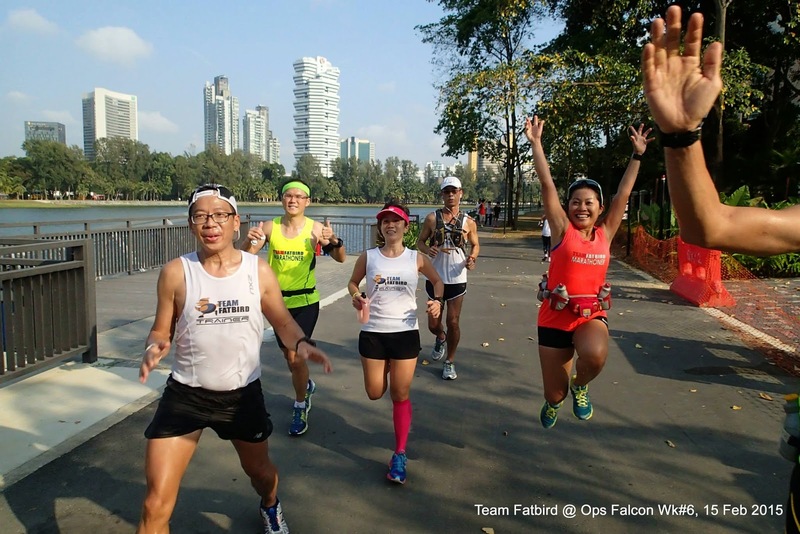 The majority of the Falcons kept to very good Marathon Pace efforts under the guidance of their group trainers and pacers, maintaining very steady paces and good running form. 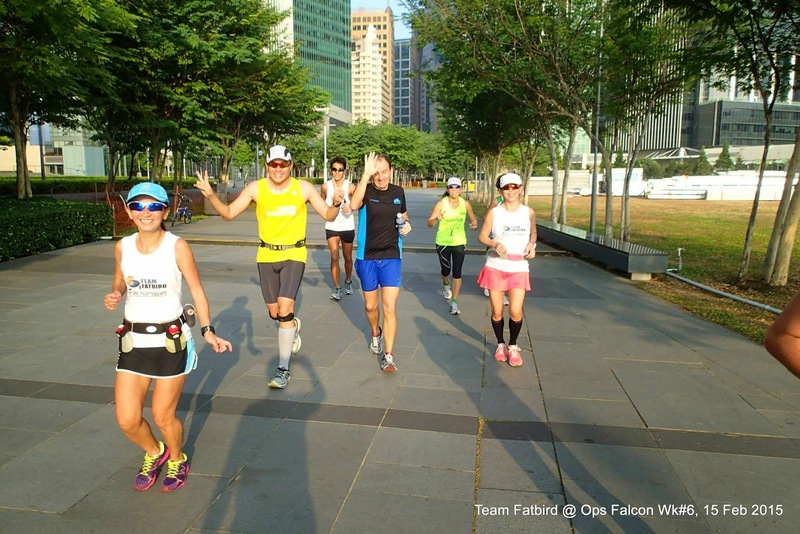 As we progressed, the run became more challenging at the Promontory stretch when the sun came beating down on the Falcon’s backs. 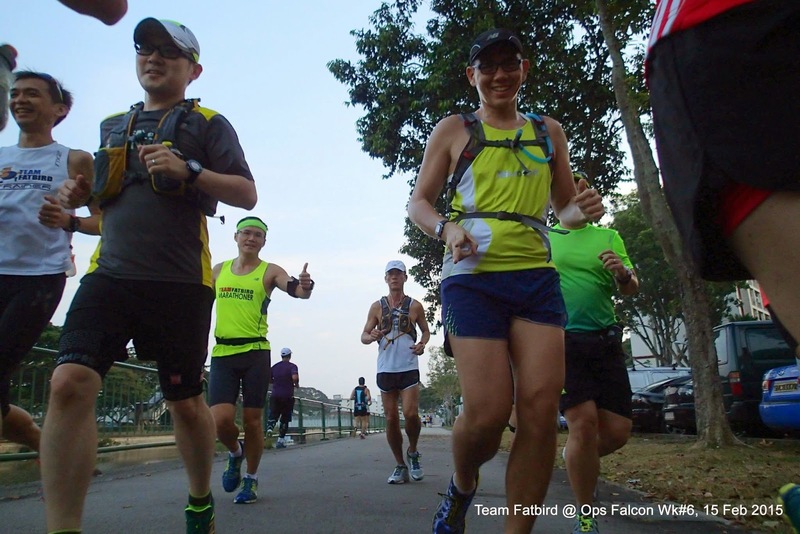 Rising to meet the challenges, the Falcons were able to persist another 5-6km to finish the entire HM run in target paces and timings. 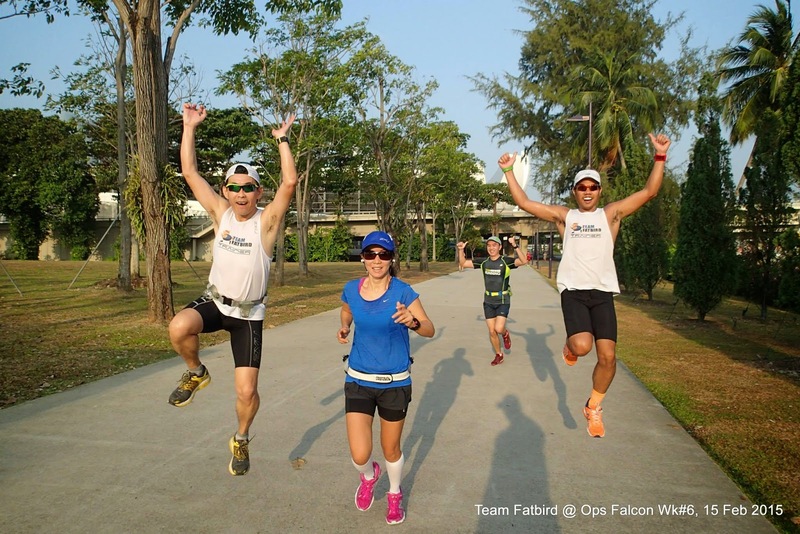 The FMers did slow down a bit after 20km as the sun’s heat continued unabated, but the trainees pushed on to complete their 30km requirement to meet training objectives. 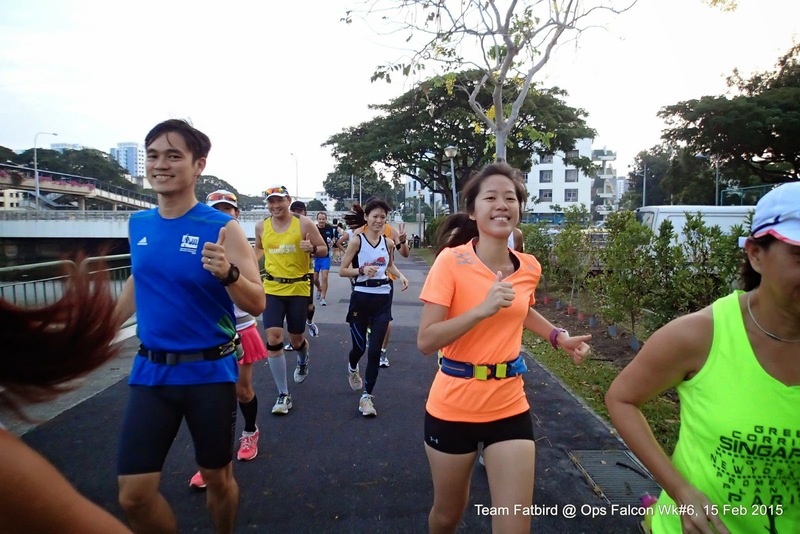 A few of the runners turned back slightly earlier and completed from 26-28km. 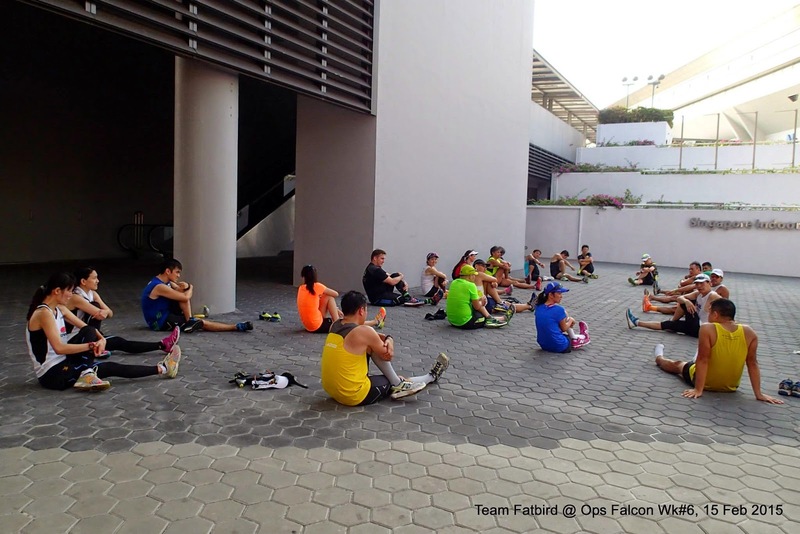 A quick debrief of the session was followed by stretching exercises conducted by FatBirds Arnel and Jayson. 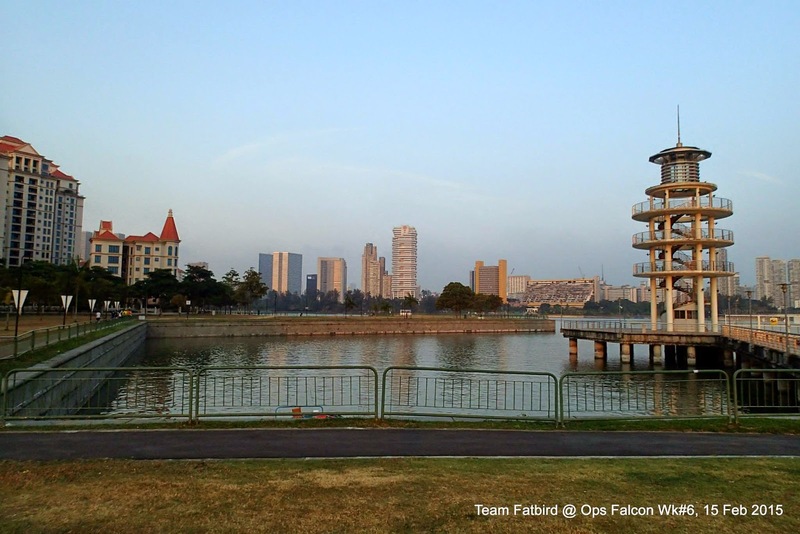 The trainees followed through with the whole routine respectably well . 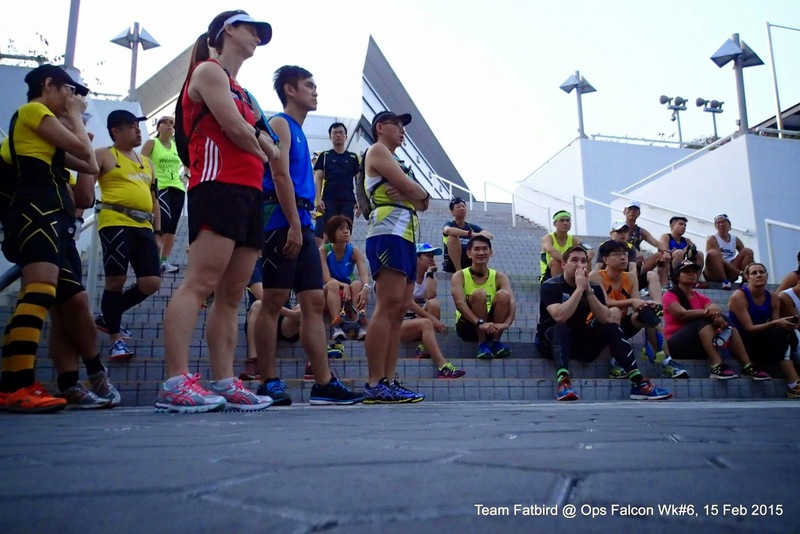 A second debrief was given followed by important advise on having a good dynamic warm up routine especially for HM races, as well as being mindful about our own body conditions and having regular check ups and not leaving anything to chances with regards to our health. 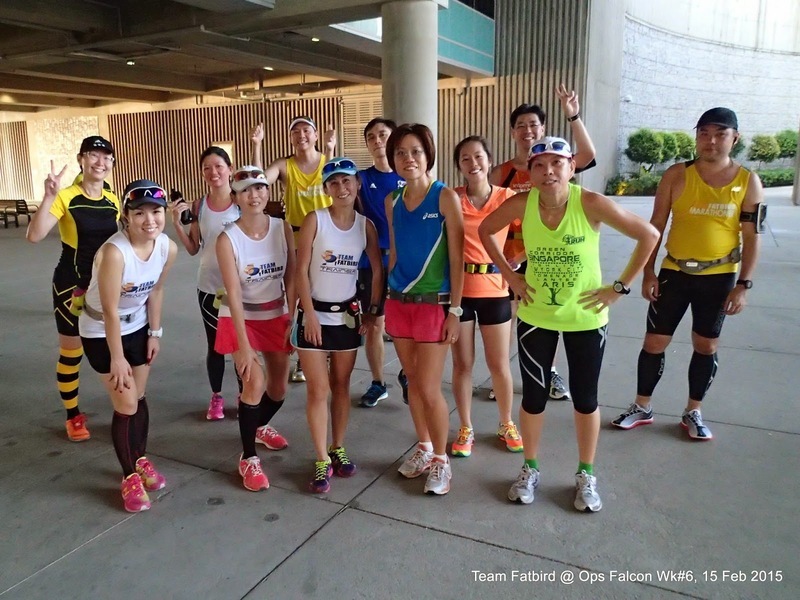 The FMers completed their training by 10am and were feasting on bananas and post-run drinks as we shared stories and lessons learnt from the training. 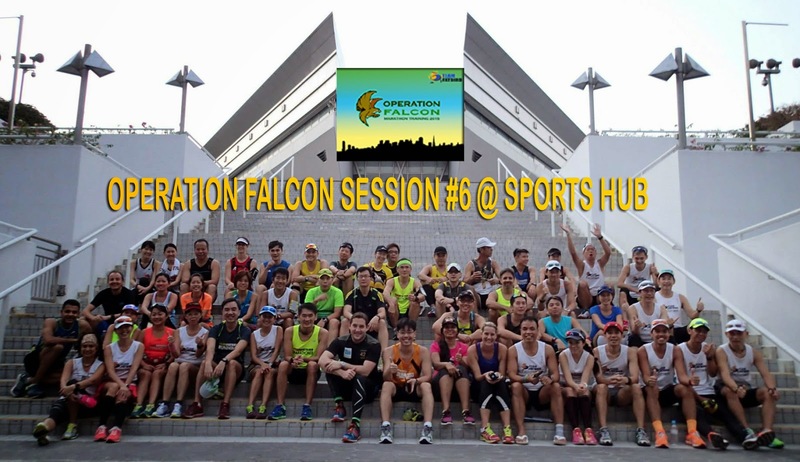 We will be back to the same location at Sports HuB next week for long distance intervals, something unique and effective for our purposes of having Falcons have a sustainable ‘speed’ for good results on race day.